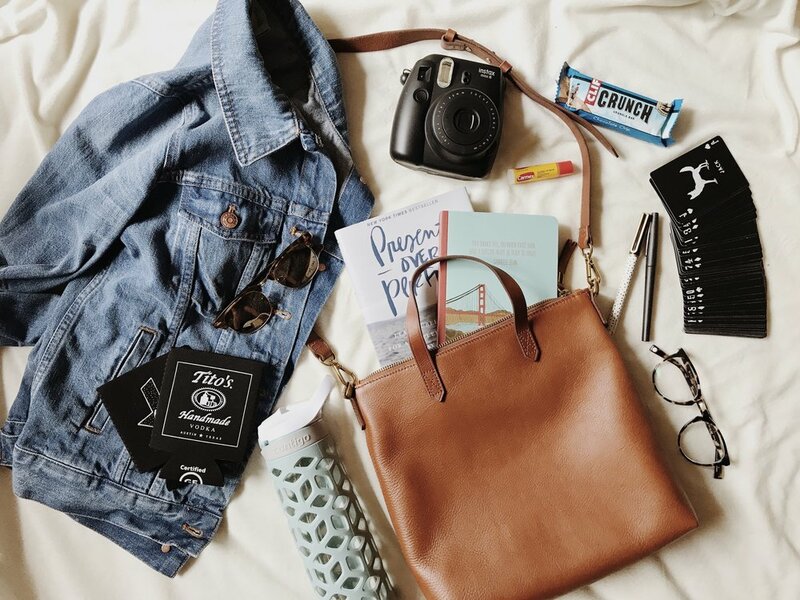 Okay, so all of these items don't technicallyyyyy fit into my Madewell cross body, but they are the items I generally take with me on each and every adventure! Having a general list of items that almost always make the cut, just makes it 100% easier for me to pack when the time comes whether it be for a roadtrip, plane ride, etc. With our upcoming trip to Maine, I figured now was the perfect time to take a look at what's in my bag for the trip! Madewell Cross Body - I had been looking for a cross body that was big enough to fit a bunch of stuff in for a plane ride, but also small enough to still be used when wandering around a new city. This one fit the bill justttt right and bonus: it's on sale! 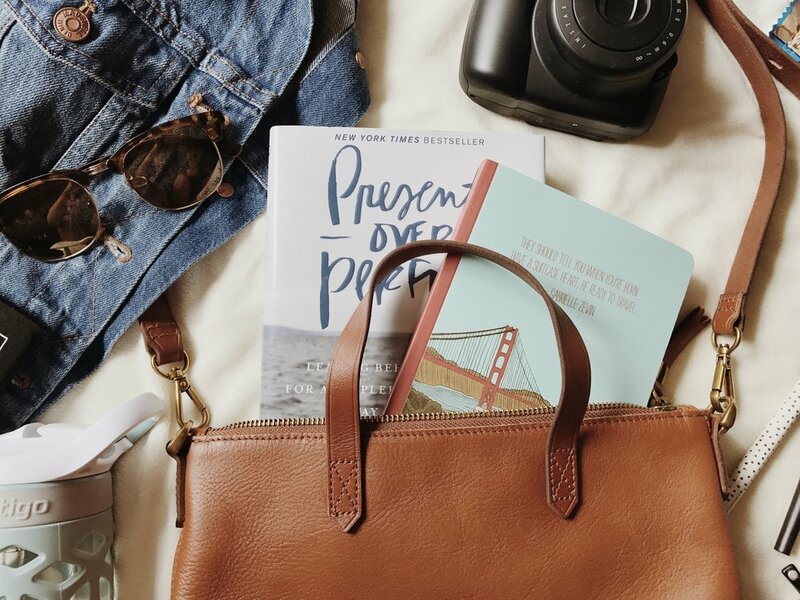 Book - I've been stocking up on books for our upcoming trips (read about it here) and I can't wait to dive into Present Over Perfect on the plane! Warby Parker Glasses & Cheap Sunglasses - Both are a must for me! I just recently got new eye glasses from Warby Parker and I love them! Hoping to grab some sunnies there soon too. Water Bottle - Contigo is one of my favorite brands to use as they always look chic on top of being practical in fact, I just grabbed one of these too! Snack Bars - These Clif Crunch bars are my favorite of the moment. And no one wants to be on a plane or in a car with me when I'm hungry, so a snack is always a must!